In the mid-1980s, James’ colleague in the Outdoor & Experiential Education Unit at Queen’s University Faculty 0f Education went on sabbatical to explore innovative and alternative experiential education programs in various locations across the United States. He was so taken with one program in Colorado that he came back with an idea that there was enough in his research to write a book about Mountain Open High School. James worked with Bert has he shaped this project and then edited the final book manuscript which was eventually published by the Association for Experiential Education in Boulder, Colorado. 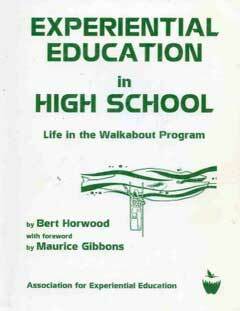 Though rare (and often at a premium price) copies of this experiential education classic are available.